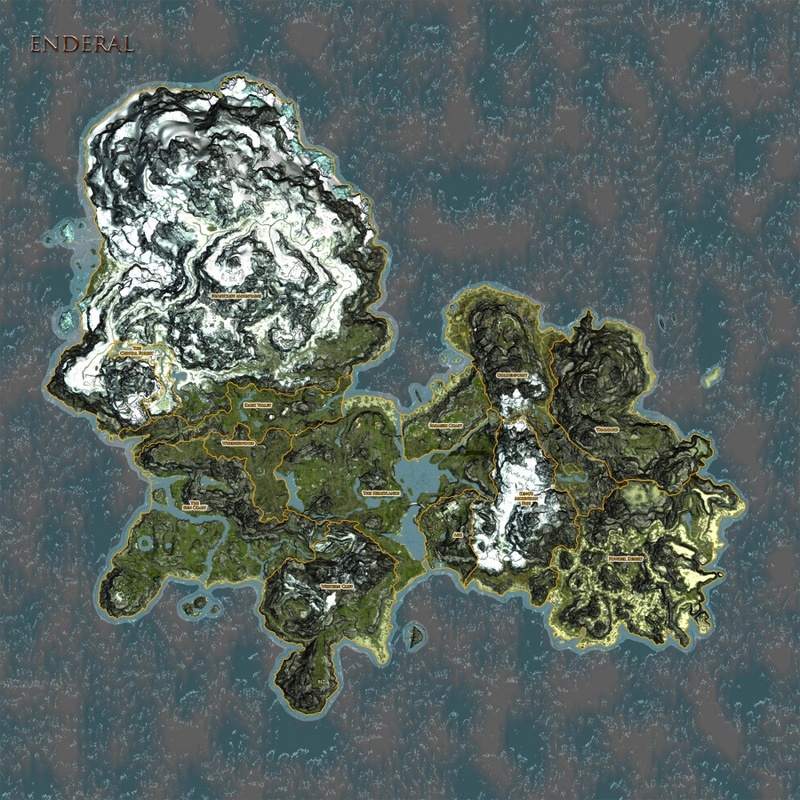 There are 13 distinct regions in Enderal that in most cases are easily distinguishable in-game because of differences in geography and physical appearance. The various regions are listed following the map below. For an interactive map of the game world, see Interactive Map. Note: This wiki has a maximum file upload size of 2MB. The map above has been reduced in size and converted to a .jpg image to be able to upload and view it here. The full-size (4096x4096) PNG image is available at www.knhaze.com/enderal/images/enderal.png. Ark is the capital of and largest city in Enderal and is centrally located between the Heartlands and King's Mountain Pass. Ark also has a harbor on King's Bay. The most striking structure in Ark is the ivory-colored Sun Temple perched high on a cliff overlooking Ark. Ark is divided into several districts: the Foreign Quarter, the Nobles Quarter, the South Quarter, the Marketplace, the Military Barracks, and, of course, the aforementioned Sun Temple. The Heartlands, the hub of Enderal, is a densely wooded area in the center of Enderal. Leaning oaks and towering pines provide a forested canopy and both large and small rivers meander through the grasslands. Ancient tombs or abandoned ruins can be found here and there across the woodlands of the Heartlands. 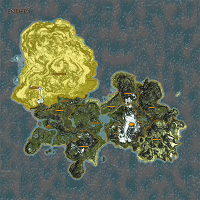 A number of roads crisscross the Heartlands leading to almost all regions of Enderal. 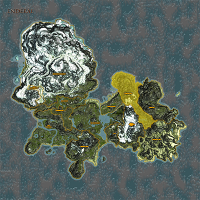 The Western Cliff is an area south of the Heartlands that is dominated by a tall range of rocky mountains. In the center of the Western Cliff stands an old abandoned castle, Fort Valstaag. From time to time, whispers can be heard telling of occasional sightings of a dragon in the sky around the peaks of the Western Cliff. The Sun Coast, located in western Enderal, gets its name from its temperate climate. Plentiful sunshine and low amounts of average rainfall are the hallmarks of this area of the country. Large rock formations, heather-overgrown meadows and old gnarled trees are commonly seen across the countryside. Castle Golden Ford and the town of Riverville are located in the Sun Coast. Located between the Heartlands and the Sun Coast, the Whisperwood is a small, heavily-forested area of Enderal. Once a vibrant, healthy forest, the Whisperwood was devastated long ago by an outbreak of a deadly fungal plague that killed all the trees found there. The Whisperwood is mostly uninhabited by humans as the fungal spores that brought the plague long ago still render the area dangerous and unhealthy for any people that stay there over any lengthy periods of time. Nestled in between the Whisperwood and the Frostcliff Mountains, the Dark Valley is a densely-forested valley that has been largely abandoned. The Dark Valley is a dangerous area, primarily inhabited by many Lost Ones. As the home of the main rebel base during the time of the Bloodmoon Revolt, Dark Valley was the site of many battles between the Rebels and the armies of the Order. 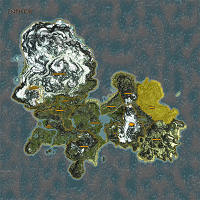 The Frostcliff Mountains cover all of northern Enderal. Many old abandoned castles and ancient ruins can be found littered across the mountains. The mountains are mostly snow-covered and severe snowstorms and treacherous conditions are characteristic of the region's climate. 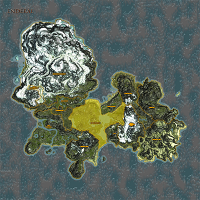 The area is considered to be dangerous but is a popular destination for many hunters and adventurers. The Crystal Forest is located in the lower Frostcliff Mountains, near the Frostcliff Tavern. The forest is distinguished by its strange, magenta-colored crystal trees, which are found only in the Crystal Forest. The Living Temple is a great abandoned Pyrean temple in the middle of the forest and it is said that the temple is likely the source of the mystical crystal trees that cover the area. The Farmers Coast is a small, fertile region of Enderal just north of Ark and east of the Heartlands. 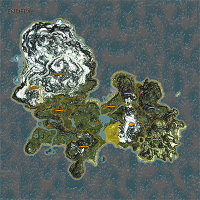 Many farms are scattered across the landscape and the Farmers Coast is the center of Enderal's agricultural production. Various types of cereals, meats, fruits and vegetables are produced there in the regions' extensive meadows. Goldenforst is located in a long valley that runs primarily between King's Mountain Pass and Thalgard. According to Landscapes of Enderal: Goldenforst, the "trees and bushes there ... carry all year long golden to auburn autumnal leaves." Furthermore, "[t]his vegetation can only be found here, not in any other place in Enderal, but the cause for this extraordinary color character lies yet concealed." During the time of the Expansion and the Sun Fire, Goldenforst was consumed by the same toxic mist that consumed Thalgard. But over a period of years, Goldenforst recovered from the wasteland that it was and is now inhabitable though it appears only bandits and wild animals have recolonized this place. 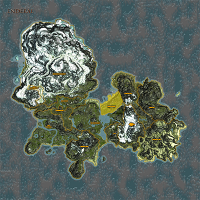 Thalgard and its surrounding wastelands are located on the eastern coast of Enderal. Thalgard is a devastated land that has never recovered from the Sun Fire impact and the entire area and fortress is permeated with a toxic mist. Anyone wandering Thalgard without magical protection can easily lose their mind or even face death. 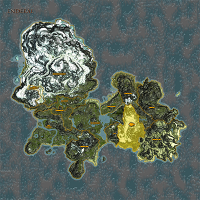 The Powder Desert is a coastal desert which covers much of southeast Enderal and is only accessible either by sea or through the pass in southern Goldenforst. According to Landscapes of Enderal, the Powder Desert owes its name to the many extensive sulfur deposits and other minerals found there, some of which were used by the Order in the production of black powder (hence the name). Despite its name, the desert region also has several oases and palm groves. The most prominent settlements are Duneville and Silvergrove. Additionally, this is the land where Jespar Dal'Varek was raised, as this is where Old Estate of the Dal'Varek was located. The King's Mountain Pass is a largely uninhabited, snowy mountain range that seperates Enderal's eastern regions (Goldenforst, Thalgard and the Powder Desert) from the Heartlands and Ark in central Enderal.